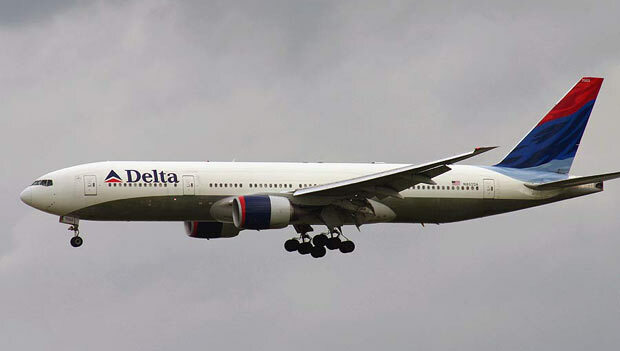 Delta Airlines has announced that it will be increasing its flights to Accra, Ghana to 5 weekly effective Dec 12th using a B 763ER nonstop from JFK. However from Dec 22nd till Feb 1st, it will operate a daily flight on this route to meet high seasonal demand for seats. DL is reportedly experiencing load factors in the mid 70% range on its newly launched JFK-ACC flights. 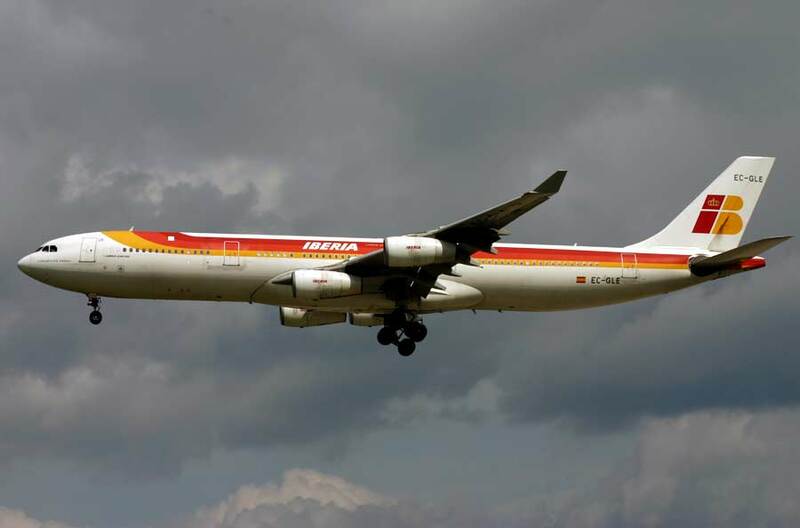 Iberia of Spain has released its Winter 2007-08 timetable which sees few changes to its network. GIG - increased to daily A 343 services from January. EZE - increased to 17 flights per week from December. BOG - increased to 10 flights a week from January. IST - frequencies increased to double daily. AMS - frequencies increased from 4 to 5 times daily. Ethiopian Airlines has announced that it will be suspending all its flights to Amsterdam, Holland and instead increasing services to Brussels from 3 to 6 times per week. This will come into effect from Oct 28th 07. Three of the BRU flights will be flown via FRA and the other 3 via CDG. All six flights though will be operated with the Boeing 767-300ER. In addition, the airline's CEO has announced that it is extremely interested in increasing its flights to North America by launching new routes to YYZ, ORD, ATL and restarting NYC. Its good to know that ET is interested in flying to North America but it must be careful on how it handles its expansion as it mustn't expand too rapidly. Currently, it flies to IAD via FCO with full 5th freedom rights. As for YYZ, there is no bilateral treaty in place between ADD & YOW, thus not permitting ET to fly there until one is negotiated. It would be best if ET delayed their ambitious plans until their B 787s arrive which means 2009 at the earliest. Also, it would be wise for them not to consider ORD and instead fly to MIA which has a huge African population in the MIA/FLL area. MIA has already offered KQ and ET an attractive package to launch new flights to the city such as one year's worth of landing fees being waived as well as other discounts on ground handling services. As for how their USA flights should be routed, ET should look into flying to MIA via ACC (5th freedom rights available as the U.S. and Ghana have an open skies agreement) with the Boeing 787-900 three times a week initially to test the market and then expand further based upon the route's performance. Varig of Brazil has announced a major European expansion for this winter season which includes new flights to Paris, Rome and Frankfurt . CDG & FCO - daily flights from GIG via GRU to start Dec 3rd using a B 763ER. Routing is GIG-GRU-CDG-FCO. FRA - effective Dec 3rd, a second daily service to be launched from Brazil, this time from GIG nonstop using a B 763ER. Currently, the route is served daily from GRU with a B 763ER. It seems that the new Varig management has learnt absolutely nothing from the mistakes made by the old management. The main reason for saying this is due to the way in which the CDG & FCO route is structured. Why would anyone from GIG fly to FCO via GRU & CDG when they can fly one stop on IB/LH/AF via their respective hubs! Forget that, the B 763ER is too small of an aircraft to use for such a route combination as capacity between each station has to be shared equally and the smaller capacity of the B 763ER cabin negatively affects the airline. 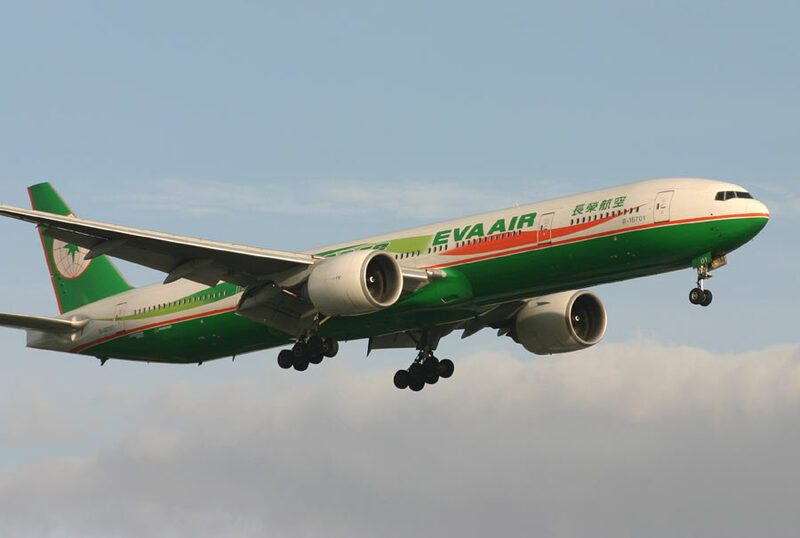 EVA Air has released its timetable for the Winter 2007-08 season which sees many changes done to its long haul route network. BKK - capacity of terminator flights increased to daily B 773ERs. NRT - maintains double daily A 332 service. KIX - maintains daily B 773ER service. 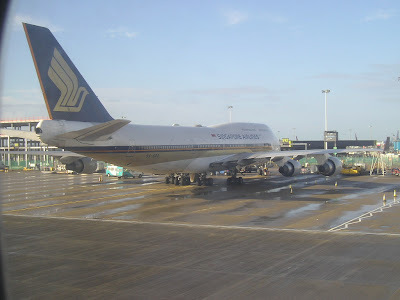 SGN - capacity increased to daily B 744 + 4 weekly A 332. DPS - capacity reduced from 3 weekly B 744s to 3 weekly A 332s. CDG - from Dec 21st, capacity is reduced from 3 weekly B 744s to 3 weekly B 773ERs. SEA - capacity increased from 4 weekly B 74Es to 4 weekly B 773ERs. LAX - maintains 17 weekly B 773ERs. SFO - maintains 12 weekly B 74Es. LHR - capacity increased from 6 weekly B 773ERs to 6 weekly B 744s. CGK & KUL - capacity increased to 5 weekly B 74Es. SIN - capacity increased to daily B 74Es. Jet Airways of India has announced that it will be launching new daily flights to New York's JFK from Delhi via Brussels effective Oct 28th 07 using a Boeing 777-300ER. As a result, there will be no more same plane service offered from DEL to YYZ by 9W. Instead, insiders at 9W reveal that YYZ's flights will originate from Chennai-MAA from November. Singapore Airlines has announced that it will be increasing its flights to Brisbane, Australia between the months of January and February only. An extra 3 weekly flights will be flown nonstop from SIN using a Boeing 777-200. As a result of this, the total number of SQ operated flights between BNE & SIN rise to 17 times a week during this period. Qatar Airways has released details of its Winter 2007-08 timetable which sees numerous changes all across its network. IAD - upgraded to daily B 773ER (2 class configuration) effective January 1st 08. ISB - frequencies reduced from 3 weekly A 330s to 2 weekly A 333s. LHE - capacity reduced to 2 weekly A 332s. DEL - frequencies increased to 6 weekly A 332s + 2 weekly A 333s. HKG - capacity increased from daily A 332 to daily A 346. DAC - frequencies reduced from 8 weekly to daily A 330 flights. JED - capacity increased to 5 weekly A 343s (ex SQ aircraft). DXB - frequencies increased from 5 to 8 daily nonstop flights. IKA - frequencies increased from daily A 320 to 10 weekly A 320s. ZRH - capacity reduced to 4 weekly A 332 from 2 weekly A 333s + 2 weekly A 332. MUC - capacity reduced to 5 weekly A 332s + 2 weekly A 333s. ARN - new 4 weekly nonstop flights to be launched effective Nov 19th using an A 319LR. IST - capacity increased to 1 weekly A 333 + A 332 + A 321 each respectively. ALG - capacity increased to 4 weekly A 332s from 4 weekly AB6s. RUH - capacity reduced to 3 weekly A 332s. MHD - frequencies increased from 2 to 3 weekly A 320s. RGN - frequencies increased from 4 to 5 weekly AB6s. MNL - reduced from 10 to 9 weekly A 330s. It seems weird that QR is reducing capacity to Northern Pakistan and DAC especially between Nov-Jan which is the pre & post Hajj-Eid season when all flights bound for the Gulf are pretty much full. Its good to see RGN-Yangon increased as that is a niche market which if handled correctly can be profitable. What is definitely unjustified is sending the A 346 to HKG as the capacity of QR's 3 class A 332 or A 333 is more than enough for this route which in any case isn't a good performer for the airline. Alitalia's management board has approved a radical restructuring plan of its business model which sees the airline once again make Rome-FCO its primary hub and severly scale back the number of long haul intercontinental flights flown from its Milan-MXP hub. a) All flights to India and China to be suspended soon. b) MXP will only see nonstop flights to NRT, JFK, EZE & MIA. c) Flights to YYZ, ORD, GRU, BOS, KIX, CCS & EWR will be flown nonstop from FCO. 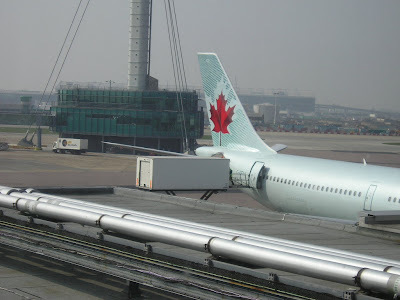 d) Three Boeing 767-300ERs will be grounded i.e. those used for India and China flights. e) 10 ATR 72-500s + 12 MD 80s + 2 EMB 145s will be retired. f) Proposed new routes to LAX, SFO & YUL to be put back on the shelf for now. Click on the Alitalia icon displayed above the MD 11 picture to be directed to the Times UK article. Aer Lingus of Ireland has been cited by an Irish newspaper namely the Irish Independent of its intentions of suspending its newly launched flights to Dubai from Summer 2008 in favor of adding a new U.S. route. DEL - capacity increased to daily B 744 from daily MD 11. HYD - frequency increased to 5 weekly MD 11 till Jan 8th and thereafter 6 weekly MD 11s. JFK - capacity reduced to daily A 332 + 5 weekly B 74E + 2 weekly B 772ERs. IAD - from Jan 8th, capacity reduced to daily MD 11 from daily B 772ER. 333s + daily B 752. SFO - capacity reduced from daily B 744 to daily B 772ER. YYZ - frequencies reduced to 9 weekly B 772ERs from 3 weekly B 74E + 5 weekly B 772ER + 4 weekly B 744. YVR - reduced from daily MD 11 to 5 weekly A 332s. LIM - increased from 6 weekly B 772ERs to daily B 772ERs effective 6th Dec.
GRU - capacity increased from daily B 772ER to 3 weekly B 773ER + 4 weekly B 772ER effective 1st March. 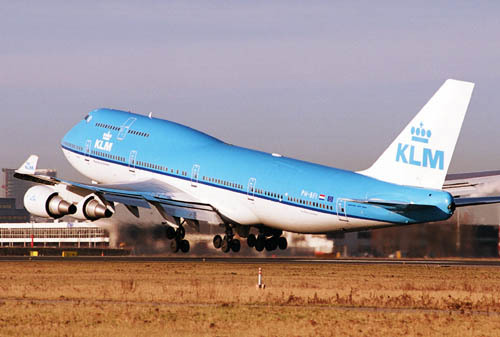 NBO - capacity reduced from daily B 744 to 4 weekly B 744 + 3 weekly B 74E. JNB - capacity increased to daily B 744 from daily B 74E. MCT - new 5 weekly A 332 flights flown via KWI. DXB - capacity increased from double daily B 772ER to 10 weekly B 772ERs + 4 weekly B 773ERs. IKA - reduced from 5 to 4 weekly A 332s. ICN - increased from 6 weekly B 74E to daily B 74E. CTU - reduced from 3 weekly A 332s to twice a week. 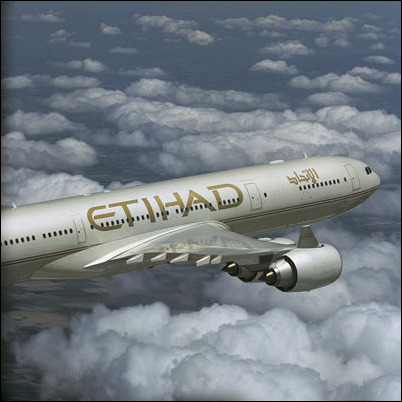 Etihad Airways has revealed further changes to its Winter 2007-08 timetable. The changes are not only frequency related but capacity as well. A 320 destinations - include KHI, COK, TRV, KWI, BAH, BEY, MCT, DOH, AMM, DAM, IKA & CAI. BRU & GVA - both cities to get an additional 4th weekly flight using an A 332. MNL - increased from 4 weekly to daily flights effective 4th October. All flights to be flown with a B 773ER. SIN/BNE route - to be upgraded from a 3 weekly A 332 to a 3 weekly B 773ER service from Nov 25th. LHR - to be increased from 14 to 19 weekly flights i.e. daily A 346 + daily A 332 + 4 weekly A 345s. BAH - to be increased from double daily to 4 times daily all using an A 332. DUB - to be increased from 4 to 6 weekly flights. MCT - to be increased from daily to triple daily flights i.e. 2 daily A 332s + daily A 320. FRA - to be increased from 7 to 10 weekly flights all using an A 332. From January 1st 2008, COK & TRV will receive the A 320s nonstop from AUH which isn't a good move. These 2 Kerala markets see high density demand year round to AUH and other cities within the GCC in addition to having a large air cargo industry. This is because of the huge expat Keralite labor population (approximately 1.2 million in the GCC) residing not only in AUH but all across the GCC. FYI, the population of Keralites in the GCC are highest in DXB, AUH & KWI. By flying smaller planes compared to the competition flying larger wide bodies (EK B 772s/A 332s, KU AB6/A310), EY risk losing not only market share from the passenger side but also from the cargo side as the A 320 can only carry 4 tonnes of cargo which is 8 tonnes less than what can A 332 can carry in its belly. Currently EY flies A 332s & A 343s to Kerala nonstop from AUH and it should remain that way. EYs in-flight product on board its A 332 is far superior to the A 320 which will not please the Keralites working in AUH especially. SAS has confirmed that it will be thoroughly reviewing its long haul strategy and is interested in launching new flights to ORD & BKK nonstop from its Oslo hub in 2008. The airline feels very threatened by Finnair who has taken a huge slice of its market share to Asia from Stockholm and Oslo thus feels the need to respond effectively. It has also been let down by Emirates who was approached to code share with them on the new CPH-DXB flights which will be launched from this October onwards. SAS were banking on EK to provide them with useful onward feeder traffic to help the CPH-DXB flight loads but EK politely declined the offer. Swiss has confirmed that it will be placing an order for 9 Airbus A 330-300s via its parent company i.e. Lufthansa to replace its fleet of A 332s as it finds the A 332 too small to effectively use on most of its long haul flights to Africa and Eastern USA where demand in the premium cabins is very high. Some might wonder why is LX wanting to replace its A 332s when they're only 8-9 years old only. The reason being is that currently, they seat 196 pax in a 3 class configuration and with further upgrades needed to be done to the F & J class cabins (which were last done in 2002), capacity on board would be reduced to 185 seats which is obviously insufficient when flying such a large aircraft on long haul flights to Asia, USA & Africa. Therefore with the A 333s, extra seating capacity is available which would help revenue. It is expected that LX's A 333s would see a new F & J class cabin product which would seat approximately 225-230 pax in a 3 class configuration. Air Canada will be reducing its flights to Zurich for the upcoming winter season. From late October to January 8th 08, it will be flown 4 times a week, then increased to 5 times a week effective Jan 9th 08. All flights will continue to use a B 763ER. AC has also confirmed that it will be code sharing with LX on their new ZRH-DEL route. In addition, AC has also announced that from the winter season onwards, it will be increasing its Edmonton-Heathrow nonstop flights to year round operations using a B 763ER.